Hey folks, Valkor here. Finally I get to step away from those classic cartoons and into something more modern. Talk about a breath of fresh air! And it's a series that I've been meaning to watch, but either never found the time to sit and watch or I caught it in spurts. 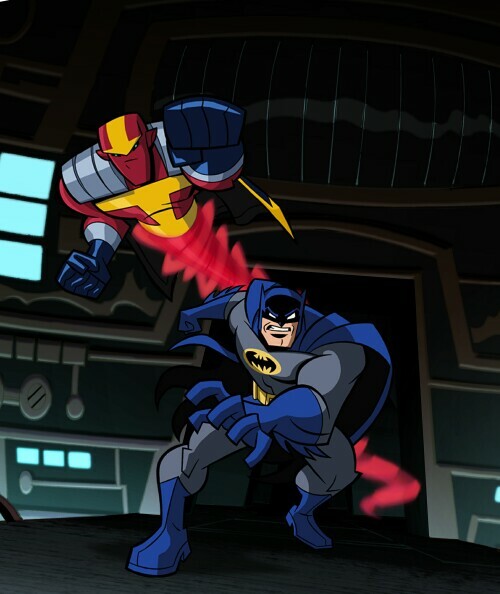 I'm talkin about "Batman: The Brave and The Bold Season One Part 2". It was just released this week, and thanks to the folks at Warner Home, we get to dig into it TOV style. Duel of the Double Crossers – Jonah Hex is stuck in the future and in order to get back to his past, he has to do favors for Mongul on Warworld, which his final request is to bring him Batman to fight against his sister's Champion Steppenwolf. Hex does his part, but Mongul renegs on the deal. Mongul's sister, Mongal, steps in offering Hex a way off the planet, but before he heads off, he stops to give Bats a much needed hand. Mystery in Space – Batman teams up with a depressed Aquaman (he's upset because he couldn't help a bunch of Beluga whales from being hunted), to assist Adam Strange in saving planet Rann from being conquered the Gordanians, lead by General Kreeger. 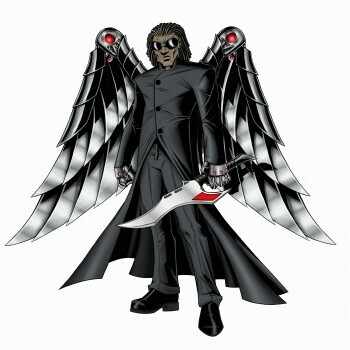 Kreeger wants the Eye of Zared, which is an unstoppable war machine machine wthat will aid him in his conquest. The Last Bat on Earth – Batman travels into the future, chasing after Gorilla Grod. It's a future ruled by animals and humans are slaves. Grod gains control of the gorillas, while Batman is captured by the tiger army lead by The Great Caesar. To aid him in convincing Caesar to fight against the oncoming simian forces are Kamandi and Caesar's son Prince Tuftan. But all are tossed in jail, and only when the Gorilla army attack does Caesar realize the error of his ways. No further extras, save for some trailers, are to be found on the disc, though some character bios would have been nice. So let's see how this DVD fares against the might of the TOV Breakdown. As I stated in the beginning of the review, I never really had the chance to watch the series, and what I saw didn't impress me at all. However after checking out the set, I still think the show is campy, but loads of fun; definitely taking a step back from all the dark. The animation is superb and just right for this type of show with loads of colors and tons of on-screen action. And it's a very quick paced, unlike The Animated series, where it was more subdued. The team up with DC's lesser known characters was a smart and a bold (no pun intended) move, which also helps build some notoriety to characters many may not have heard of (much like the Booster Gold episode). Finally the voice acting is top notch! 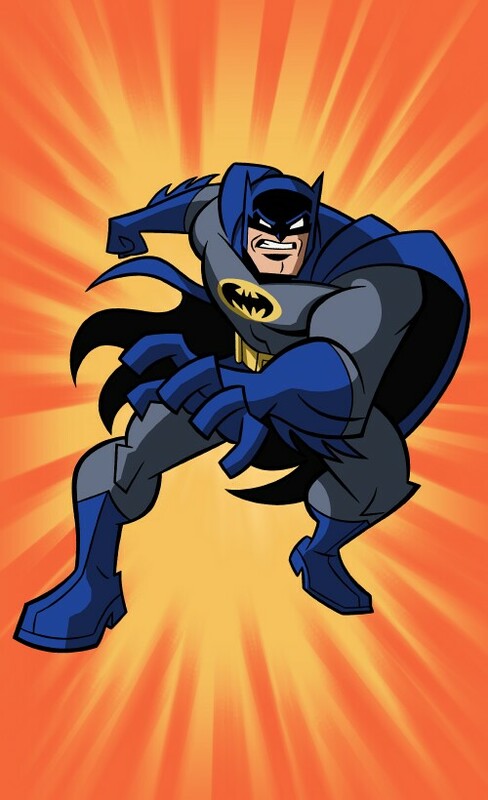 Diedrich Bader (The Drew Carey Show) is an unexpected hit with me and definitely deserves a shot at a more serious Batman story. But for the stylings of this particular series, his voice is oh so perfectly. And there are tons of other great voices who lend a hand such as John DiMaggio (Bender from Futurama), Michael Dorn (Worf from Star Trek), R. Lee Ermy (Full Metal Jacket), and Paul Reubens (Pee-wee Herman) just to name a few! Why not simply a season one box set? Why break it up into two parts? It's only 26 episodes Warner, come on. In "Night of The Huntress" there's a female character called Manface, which is a woman with the face (and 5 o'clock shadow) of a man. YUCK!! Did I mention that Booster Gold partner in named Skeets? REALLY!!? To me that's unintentionally funny. 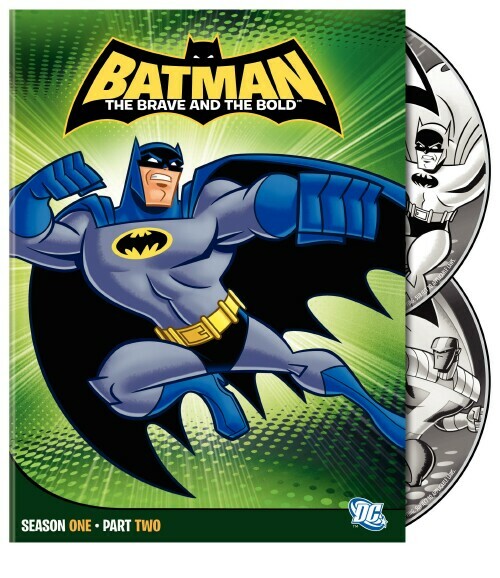 Batman: The Brave and the Bold Season One Part 2 is available now and it's a definite must see for anyone who's a fan of the Bat and looking for a new spin on the character. It's loads of fun, with lots of action and an awesome cast. Out of TOV 5 stars, I give The Brave and The Bold a 4 and it's been Valkor tested, TOV Approved.